Staying connected is important to all of us and having a cell-phone, mini-tablet or GPS in a well-located spot that’s safe for driving is even more important. 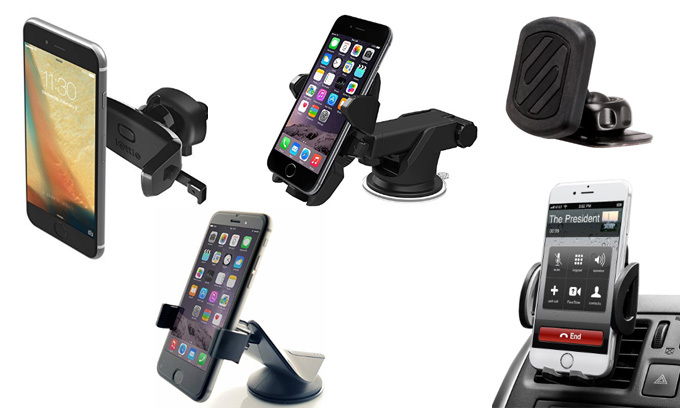 There’s a huge range of car phone mount/holders on the market and features vary, along with the prices. There are several different methods of fixing car phone mounts firmly to the windshield or a dashboard. 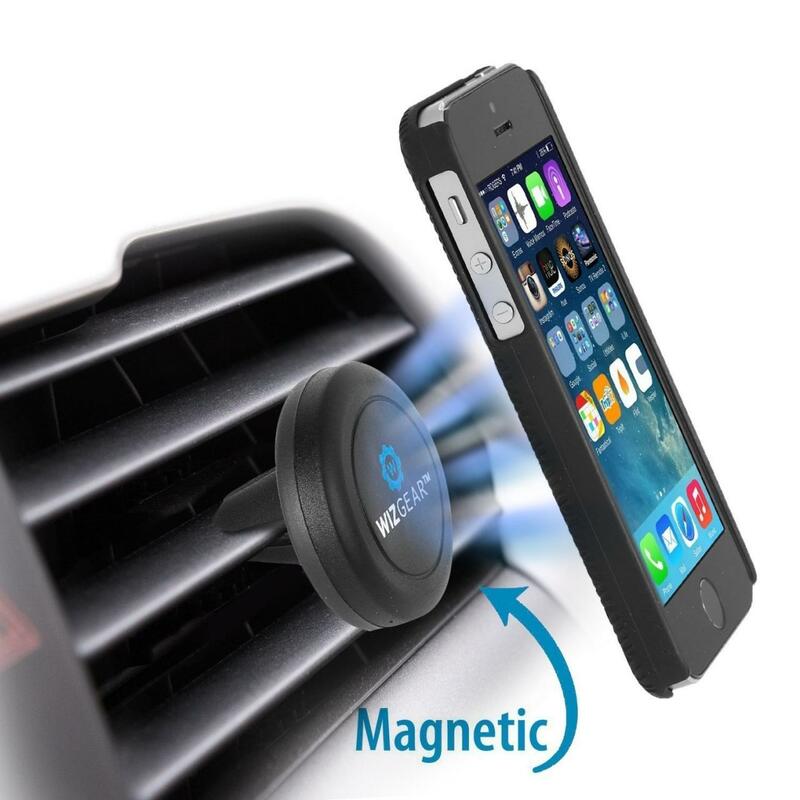 Air-vents are often used to anchor the phone holder securely in place and powerful magnets are also a popular fixing method. Other car mounts rely on a super-strong adhesive gel-pad that adjusts to fit any dashboard and strong suction cups are very well regarded, too. Then you need to choose between 90-degree or 360-degree rotation that makes it easy to switch from a vertical view for messages and a horizontal view for navigation. Some of the new car phone holders take advantage of redundant CD slots as the perfect place to put a car phone mount, and others have a classy minimalist design. Or maybe the goose-necked model is what you need to get the best viewing angle for your smartphone. Don’t get stressed! 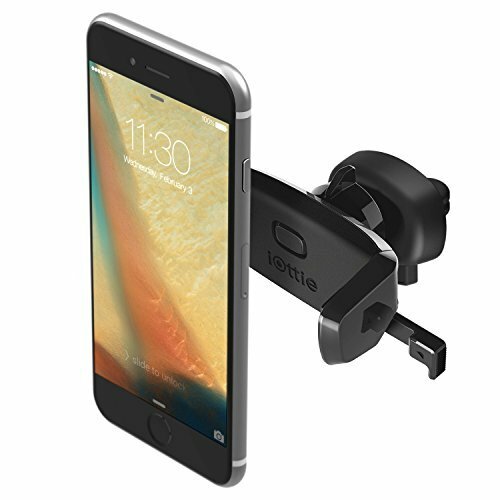 We’ve done the hard work, so you can relax and browse through the Top 10 Best Car Phone Mount/Holders for iPhone/Samsung 2019 – at your leisure! 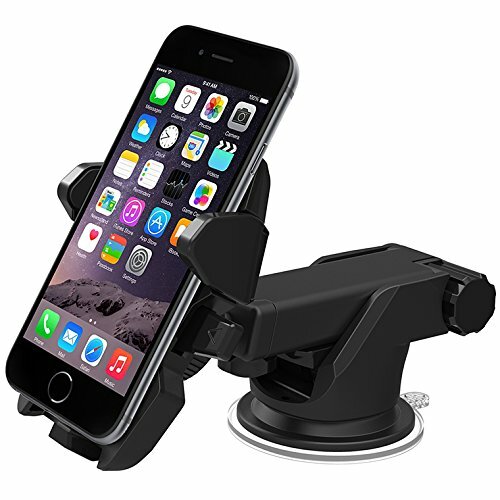 This car phone holder has a sturdy rubber base and a powerful round magnet that holds smartphones like Apple, Microsoft, Android and Blackberry rock-steady. This is also one of the best car phone holders for iPhones, including iPhone x and iPhone xs Max. 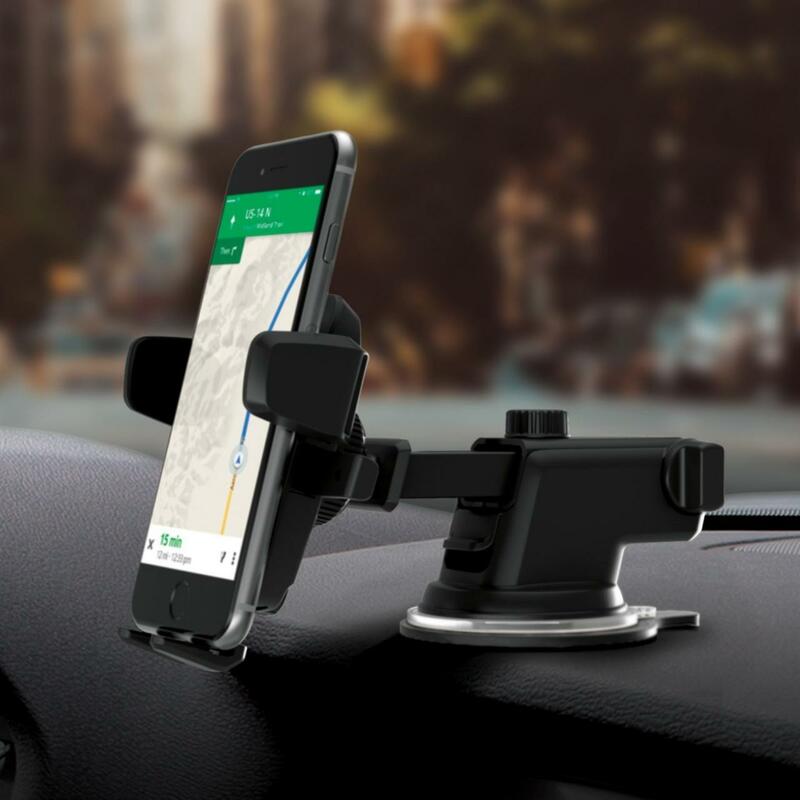 The base of the mount is firmly fixed into your car’s air vent and then it’s easy to rotate or swivel your phone or tablet as much as you want, without the base moving. Users were impressed by the fact there was no slipping or movement and they could touch and swipe the phone screen with no risk of the phone falling. 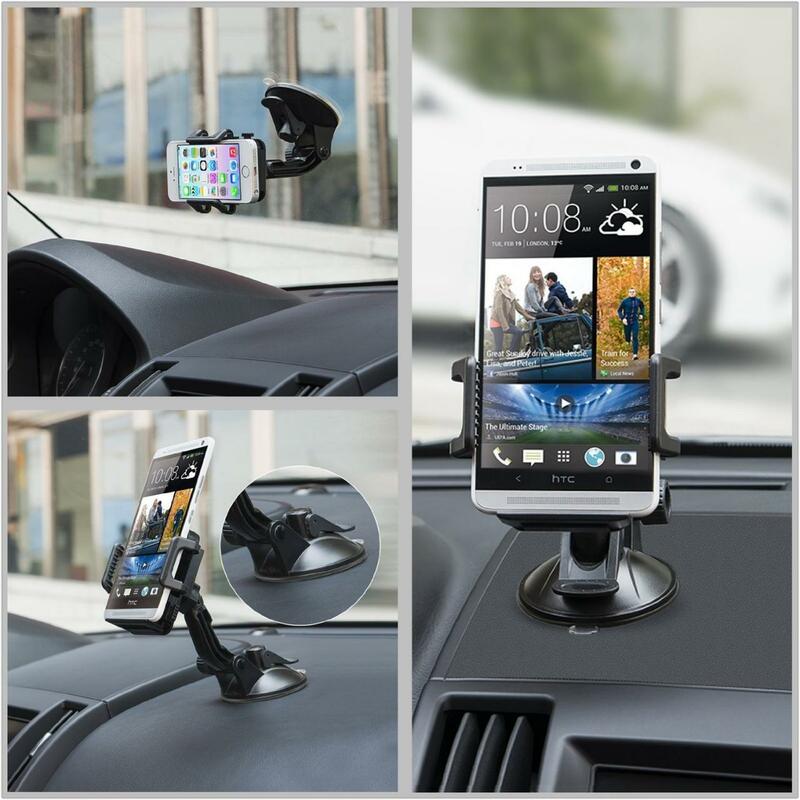 This is one of the car phone holders for Samsung Galaxy S5, S4, S3, S2, NOTE 2, NOTE 3, NOTE 4 plus the iPhone 6 and below and all current smartphones and MP3’s. There’s a sticky suction-pad which keeps the sturdy holder locked-in place. You can move the holder and re-use the adhesive. Reviewers said the shiny bracket holding the phone looks great and not cheap like others they have used. And instead of the complicated assembly of 3-part car phone holders, this unit comes fully assembled and you just stick it onto a clean, smooth surface. This is a large enough car phone holder for iPhone 6+ and Nexus 6, despite it having a thick case. The mount pivot-ball can be adjusted tighter or looser and with it tightened, a heavy Nexus 6 phone could be rotated through 90º and stay securely in place. 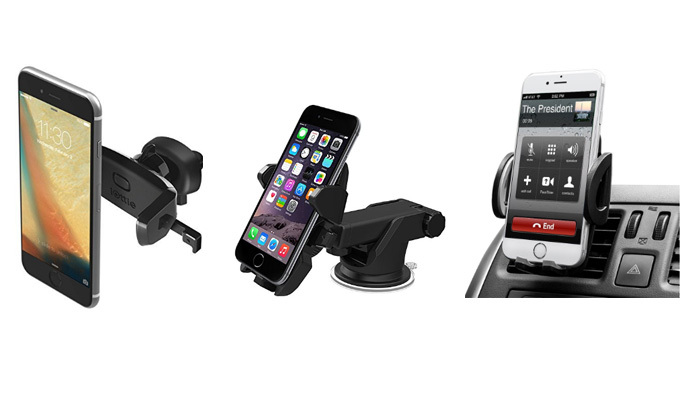 Bumps in the road don’t affect the stability of the phone in the car phone holder. The iOttie is a simple ‘one touch’ device that can be mounted in the air vent of most vehicles and released with just another finger press. It’s also one of the recommended car phone holders for Samsung devices. This is universal smartphone, car phone holder, and a suitable car phone holder for iPhone 6 and 6S and Samsung Galaxy devices. The flexible neck is easy to manipulate through 360 degrees. This car phone holder stands out from the rest for having two USB ports on the front of the mount, so you can charge your cell-phone conveniently in the car. 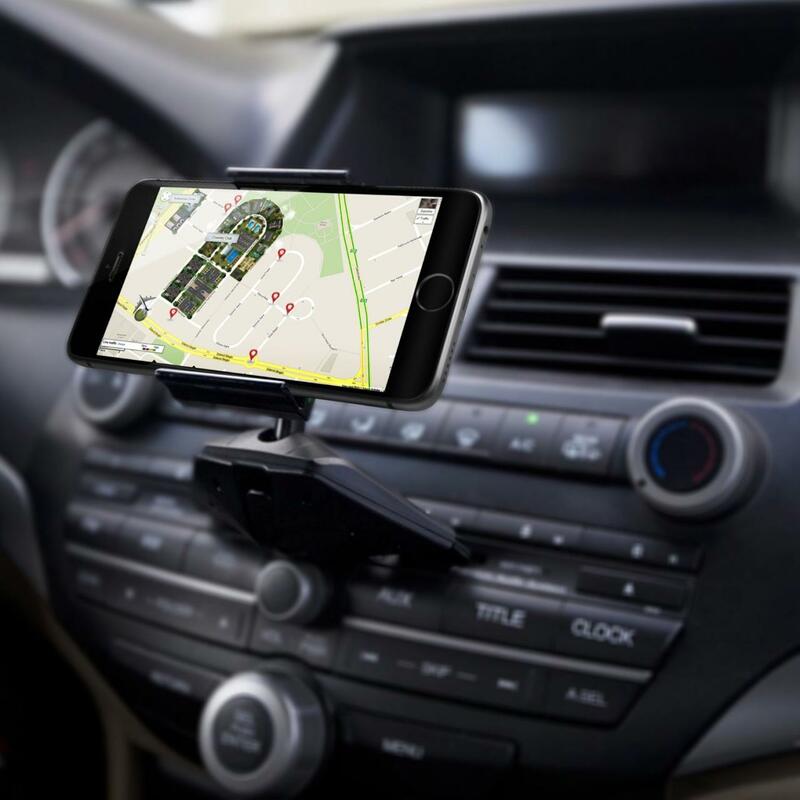 Users like the phone-charging feature, being able to follow their GPS hands-free and said it’s a high quality, well-made car phone holder with a brilliant design. They say you should buy two, as your other half will no doubt steal this handy gadget from you. 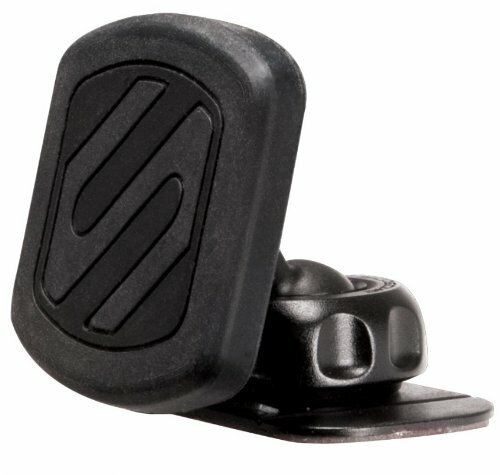 This magnetic car phone holder uses a new magnetic mounting system for locating and securing your phone in place. You only need to hover your GPS, iPod, iPhone 6+, tablet or smartphone over the magnetic surface and it locks into place instantly. The sleek design has high-power magnets to let you place your device in the best possible location for road safety and comfortable use. One large and one smaller MagicPlate are included. Testers were very enthusiastic about this car phone mount for lots of reasons and as it’s not mounted on the windshield, you can use a sun-guard without having to remove the mount each time. 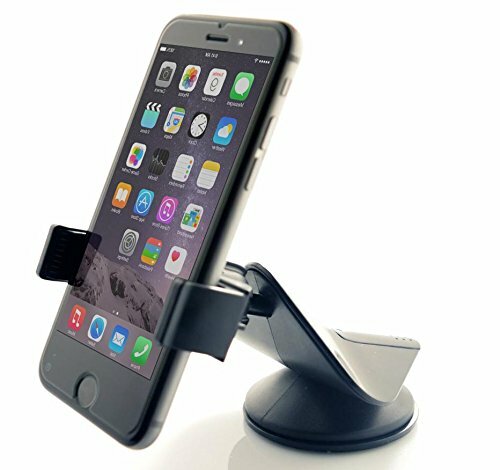 Like most good quality car phone holders, this unit is suitable for use with most smartphones and recommended for iPhone 6S Plus, etc. It is anchored to the air-conditioning vent by a fixed bracket which users say stays completely stable until you want to take it off. You can easily adjust your phone or other type of screen to a comfortable angle and it’s easy to charge your phone while you’re using it in your vehicle. Installation is easy and you just press a button on the back to slide it open and remove your phone. This car phone holder’s designed to fit into the Compact Disc slot in your vehicle easily and without needing any tools. Once installed, our tester checked its stability by pulling on it very firmly, but it didn’t move at all. It’s great for use with your GPS, as it will usually be located just above the ash-tray and a handy 12 Volt opening. This makes it very easy to keep your navigation system battery fully charged. 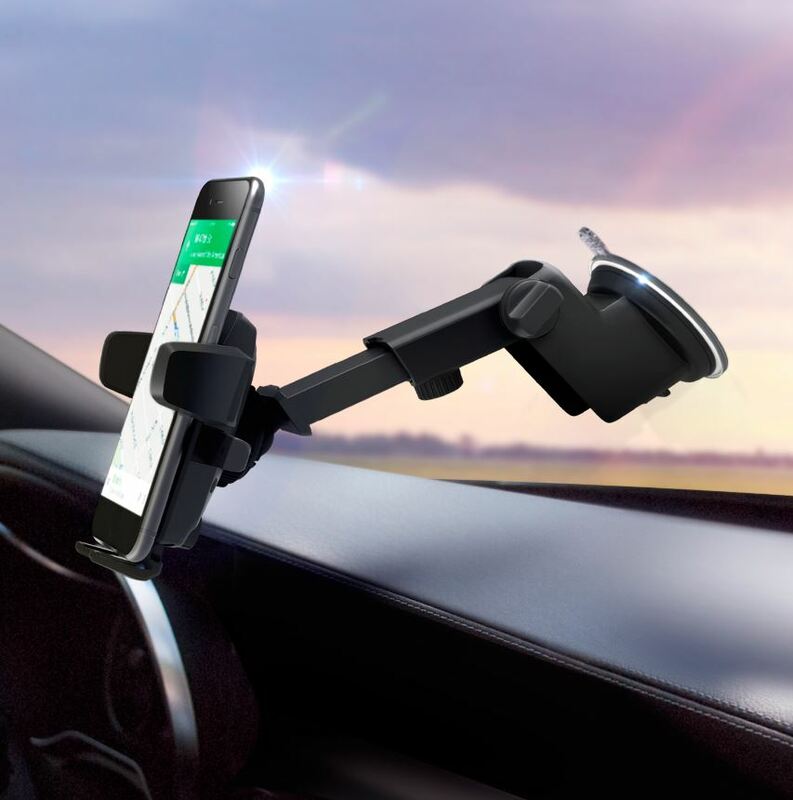 It’s a sturdy car phone holder which is suitable for smartphones with thicker cases and there’s an easy snap-in and snap-off function for smartphones with thin cases. 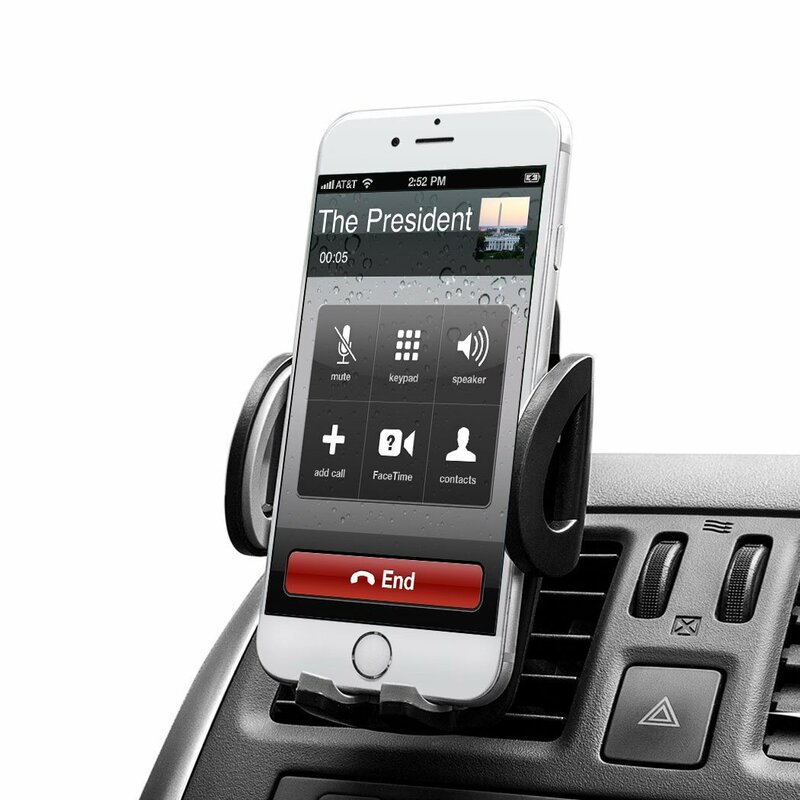 This popular car phone holder uses a very strong suction-cup to keep the mount rock-steady, according to testers. It can be located on a smooth windscreen and also works on some textured surfaces such as you find on dashboards. You can easily rotate the arm to find the perfect viewing angle for you without obscuring your view of the car’s controls. 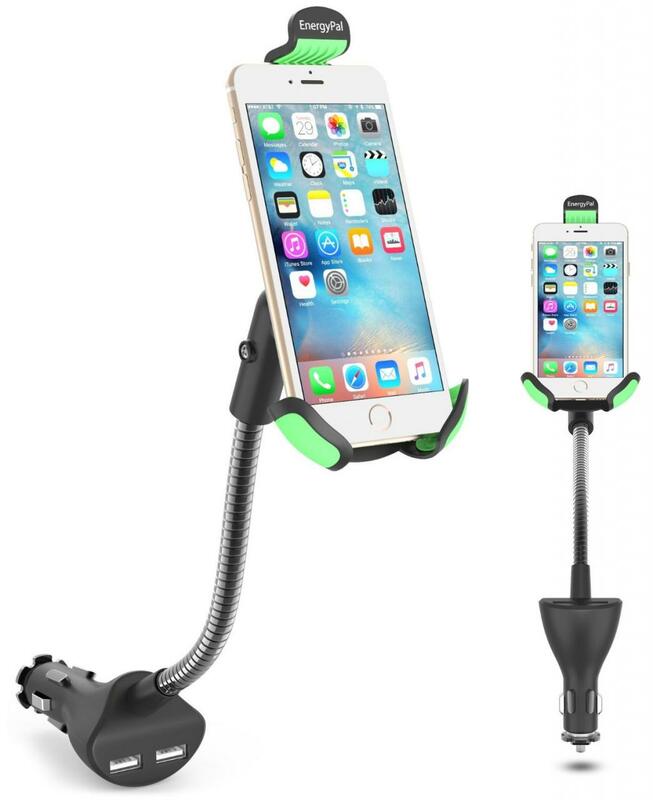 Reviewers like its solid construction, easy angle adjustment, the very firm hold of the suction-cup, even in high temperatures, and the adjustable clamp that works for smartphones up to iPhone 6S Plus. This car phone holder for Samsung Galaxy/iPhone is easily placed in and out of the holder, which holds the device securely. This design is a progression from the One-Touch Universal car phone holder and the One-Touch XL, so it has all of the great features of the iOttie brand plus extras. This design has a new two-step locking lever, which allows you to anchor the car phone holder onto a wider variety of curved/textured surfaces, where a stronger grip is needed. There’s also a telescopic extension arm adding 2-inches and a better bottom foot to keep your device’s ports clear. This is the latest version of the One Touch range, which has a new, telescopic arm that extends up to 5-inches to offer more viewing angles. It’s a sturdy extension arm that’s not affected by vibration. In addition, the manufacturer says this car phone holder can accommodate phones measuring up to 3.5 inches wide safely and securely. According to one reviewer, there’s a video showing this model holding a 4 inch smartphone. The sticky pad suction mount is very secure for long-term installation. However, if you live in a high-crime area where you remove your phone and mount whenever you park, it can become a chore. This is a car phone holder for bicycles and motorcycles, which you mount on the handle bar. It mounts your cell-phone using a hard plastic grip, with a silicone net that grips the corners of your phone tightly, so you can adjust it to the best viewing angle. 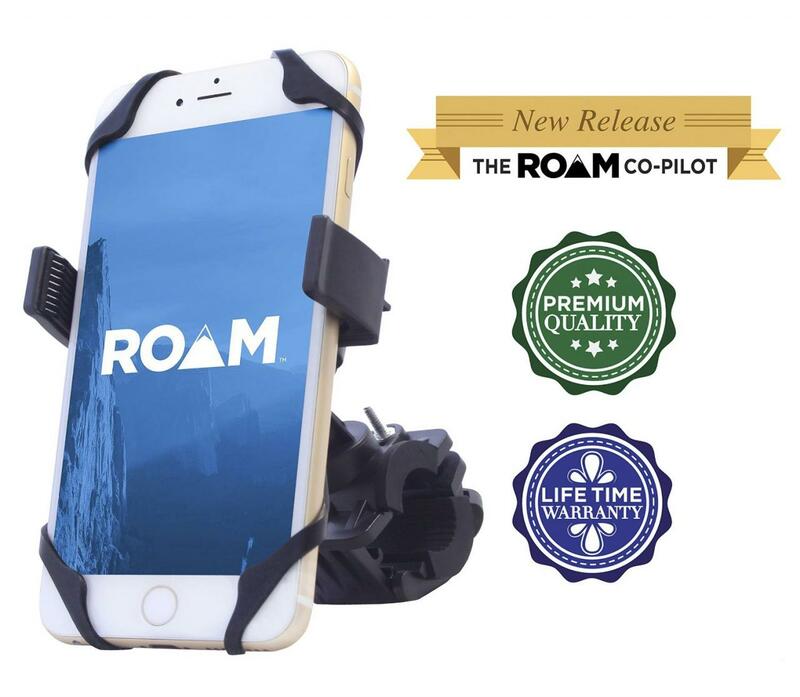 This mount takes cell phones up to 4 inches wide and fits everything from small bike handlebars up to large motorbikes like the Harley-Davidson. It took our reviewer less than 5 minutes to attach the mount and put an iPhone 5S plus case in the grips. After a 20 mile ride, it had worked perfectly and was praised as the best he had used!